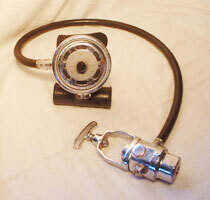 If you are looking for a two hose regulator to actually dive with, a US Divers or Voit is the only way to go. 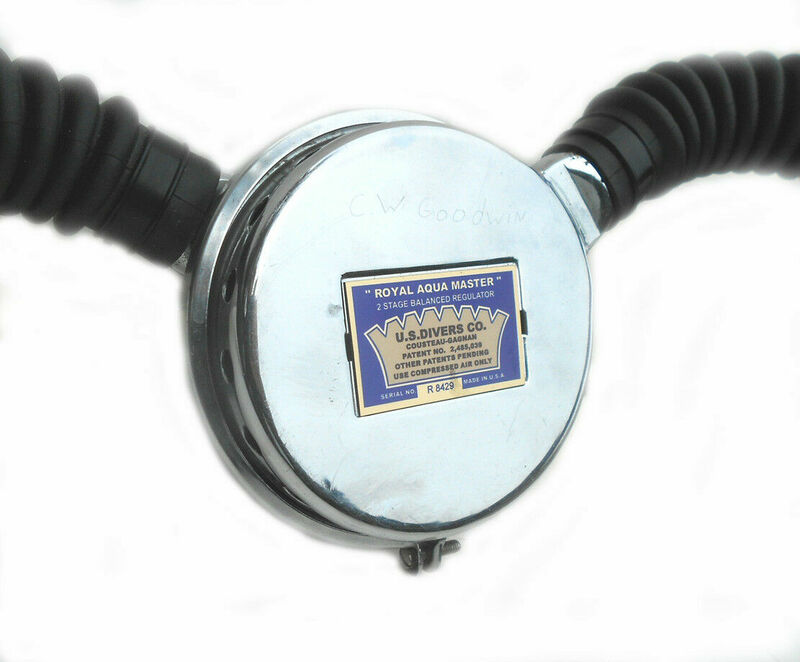 The design has been around since the 1940's, and was improved upon until 1975 when production ceased. They used a minimum of parts, with a proven design that would last a lifetime. 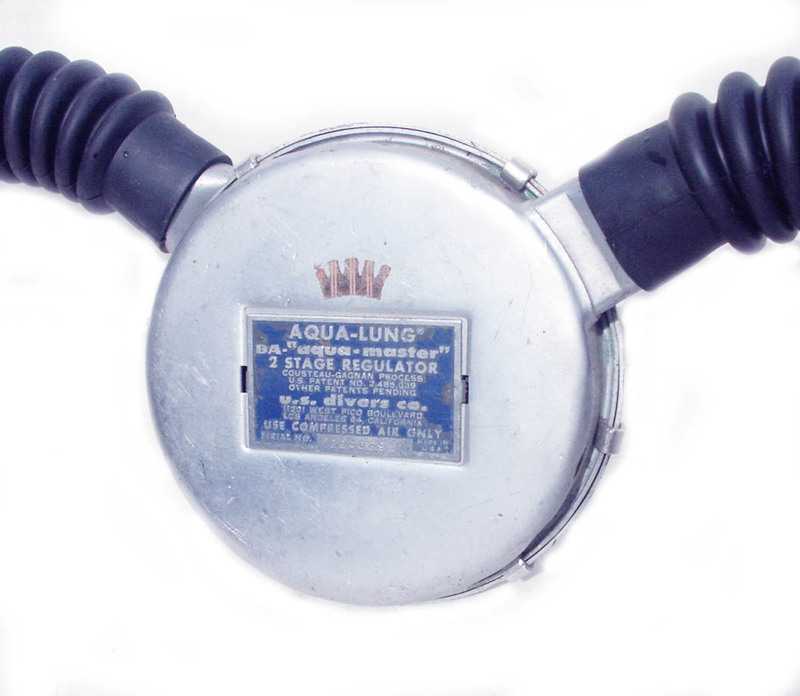 Also, more US Divers and Voit regulators were made than any other two hose regulator, so more new-old-stock and used parts are available. 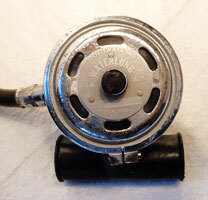 I specialize in US Divers and Voit two hose regulators, but I can service some other brands as well. 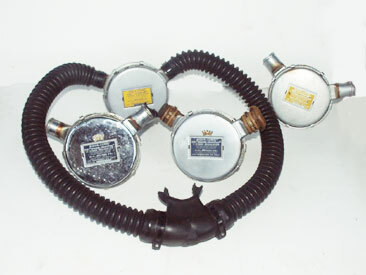 US Divers DA "AquaMaster" Two Hose, Two Stage Regulator (SN204629). Circa 1962, A nice example of an early Aquamaster with new hoses and straight mouthpiece, along with a new duckbill and mouthpiece valves. Label has a few paint chips but looks good. Chrome is decent. Rebuilt and ready to use. 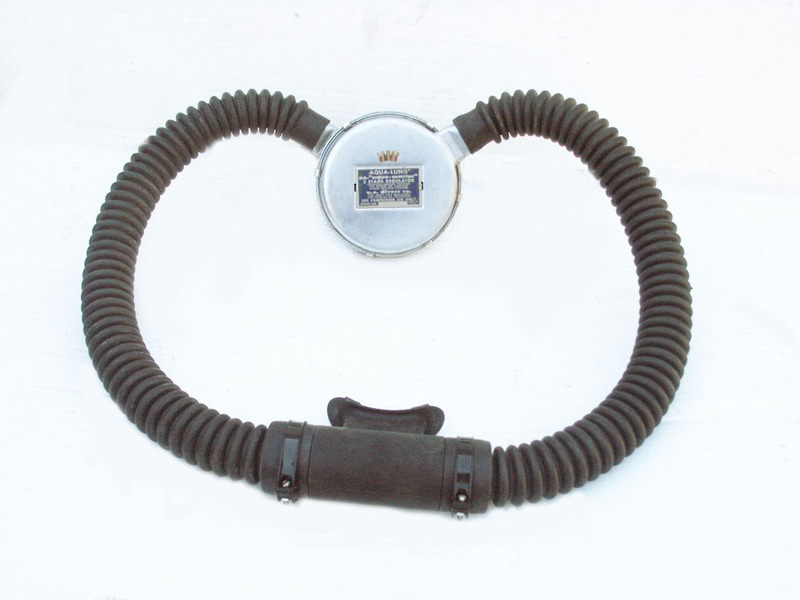 US Divers DW Mistrals, DA Aqua-Masters and DA Navy Approved Two Hose Regulators. 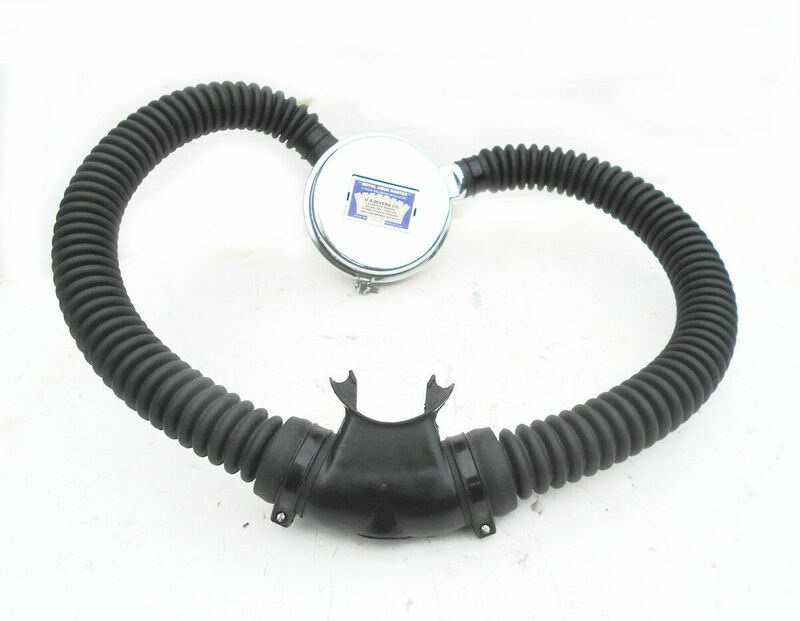 I always have these models in stock, complete with hose assemblies, rebuilt and ready to dive. Priced from $350 and up, depending on condition and rarity. Please inquire. 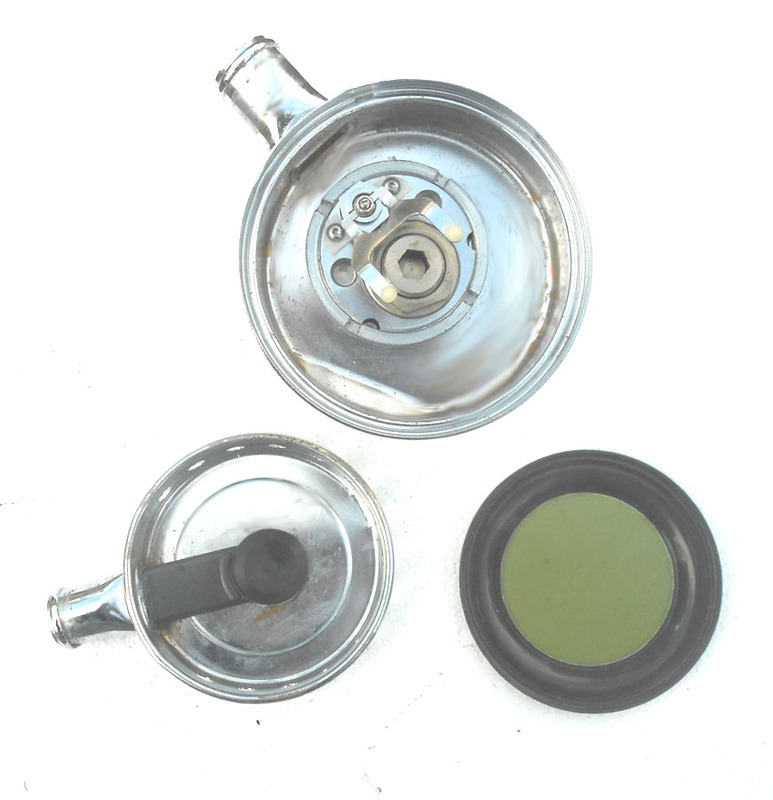 Sportsways Waterlung (SN B 005258), single hose regulator, circa late 1950's. This was the first model made by Sportsways. Regulator has corrosion and has not been serviced but it does work. Sold 'as is'. Price $60.00.